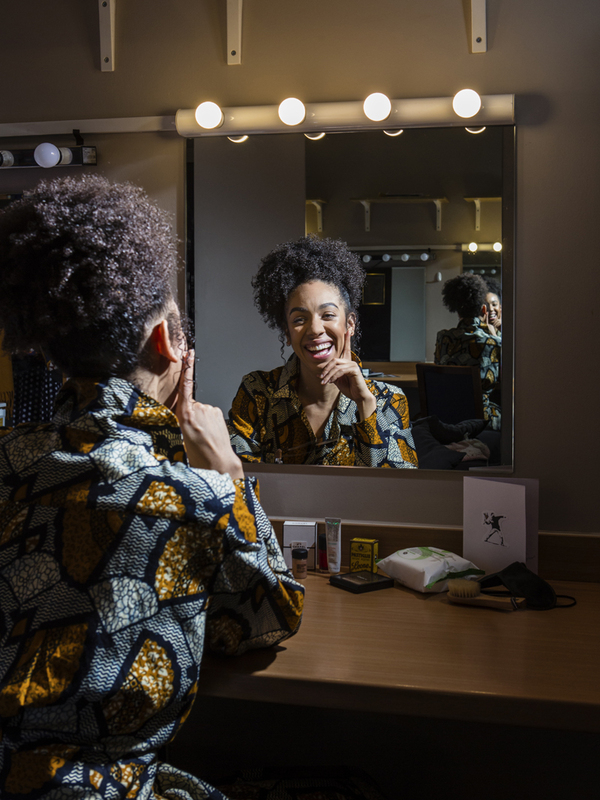 I was invited inside Pearl Mackie’s dressing room at the Harold Pinter theatre for a shoot to promote her performance in the Pinter classic The Birthday Party. It was a bit of a squeeze with six people crammed into an awkwardly shaped, tight room with a bank of mirrors, but I did manage to find a position where all but Pearl were clear of the reflections. She had just moved in that morning so we were both frantically propping the shot with her make up pieces and a card from a fan that she had received to wish her luck. Fortunately she had brought with her an incredible African print overcoat which she used as a robe too so the whole shot is one I’m really pleased with particularly with the challenging size of the location.